The soccer news starts with the USMNT's 1-1 draw with Chile to close out the March window. 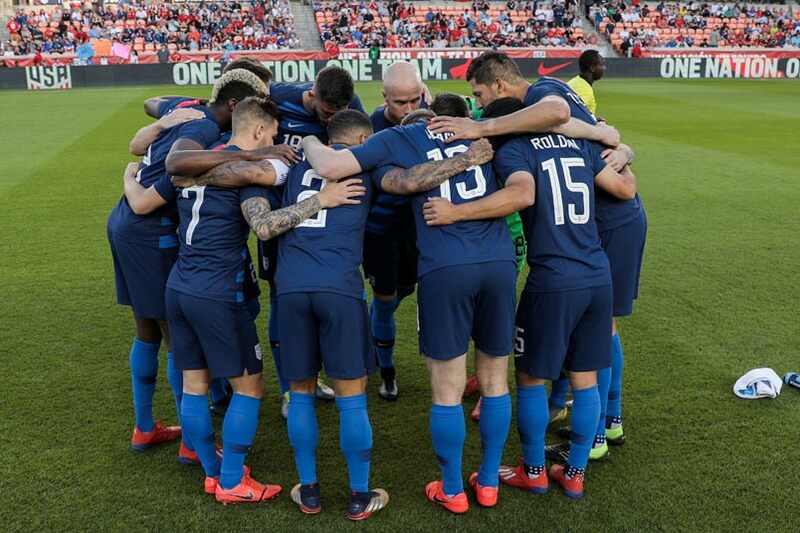 The USMNT moves toward the Gold Cup with a clearer idea about what's working under coach Gregg Berhalter's new tactics. With that in mind, the March window was successful for the USMNT, with all involved recognizing the work left to do. Weston McKennie left the Ecuador game early with an ankle sprain. Christian Pulisic left the Chile game early with a right quadraceps injury. The severity of both injuries is in question, but it raises an issue for the USMNT. Without two of the Bundesliga players most expect to start in a first choice lineup, the depth of the USMNT is in question. Berhalter's substitutions in both games provided at least partial answers. The USMNT didn't lose shape or intensity in scenarios where substitutions might disrupt both. Instead, players mostly understood their roles and how they changed as the game developed. Even at first-choice, Berhalter showed a willingness to make changes. Berhalter would shift to a defensive minded formation when needed without stalling the USMNT attack. Against a defensive minded Ecuador, the USMNT didn't produce a lot of opportunities but they did control possession. Against Chile, they didn't take unnecessary risks working to break the tie while also not opting for a defensive shell. Both point to the changes Berhalter is bringing to the group, something that should show up this summer with the Gold Cup on the line. It's a point made multiple times during the ESPN2 broadcast, but Chile raised the stakes over Ecuador for the USMNT. Ecuador might be closer to a Concacaf opponent, but Chile is the type of team that pushes an opponent to do more. Both are valuable leading into the Gold Cup. As is always the case, that tournament is about producing a USMNT vs Mexico final. Getting to that game will require the USMNT to adapt to overly defensive tactics while being able to switch against stronger knockout round opponents. It's certainly not a new scenario for the USMNT, but how they approach it should give us another look at Berhalter's long-term plans. ESPN's Jeff Carlisle's match report from the draw in Houston. Goal's Ives Galarcep focuses on how the USMNT responded against a strong opponent. SI's Avi Creditor tracks the development of Berhalter's style after the March friendlies. MLSsoccer's Matthew Doyle's takeaways from the draw with Chile. The Guardian's Tom Dart asks about USMNT ticket prices. The LA Times' Kevin Baxter on the big crowds and two wins for Mexico in California. The Irish Examiner's Brendan O'Brien explains the fan protests against the Football Association of Ireland during their game against Georgia. RTE on the tennis ball protest. BBC Sport's Dan Roan reports that Gordon Taylor will leave as head of the Professional Footballers' Association.